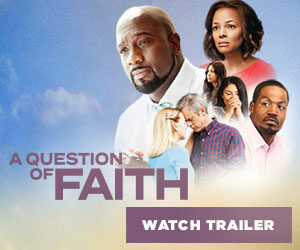 On September 29, the new film A Question of Faith will open in 600 theaters nationwide. In the film, three families struck by tragedy find that destiny forces them on a converging path to discover God’s love, grace and mercy as the challenges of their fate could also resurrect their beliefs. Enjoy the official film trailer, visit the film’s website and look below to find Texas theaters hosting the film. Austin Regal Gateway 16 9700 Stonelake Blvd. Cedar Hill Cinemark 14 280 Uptown Blvd. Hurst Cinemark North East Mall 18 1101 Melbourne Rd. Kingwood ShowBiz Kingwood Movies 15 350 Northpark Dr.
Pearland Cinemark 12 3310 Silverlake Village Dr.
Spring Cinemark Spring-Klein & XD 21440 Kuykendahl Rd. Tyler Studio Movie Grill Tyler 8954 S. Broadway Ave.
Waxahachie ShowBiz Cinema 13 108 Broadhead Rd.